NewsPoet: Monica Youn Writes The Day In Verse Each month, NPR's All Things Considered invites a poet into the newsroom to see how the show comes together and to write an original poem about the news. This month, our NewsPoet is Monica Youn. Want to write your own poem about the day's news? You can put them in the comments below. NPR's All Things Considered invites a poet to write the news. Monica Youn visits NPR headquarters in Washington on Friday. Today at All Things Considered, we continue a project we're calling NewsPoet. Each month, we bring in a poet to spend time in the newsroom — and at the end of the day, to compose a poem reflecting on the day's stories. The series has included Pulitzer Prize winner Tracy K. Smith, Craig Morgan Teicher and Kevin Young. Today, poet Monica Youn brings us the news in verse. Her second collection, Ignatz, a series of poems loosely based on the Krazy Kat comic strip of the 1920s-'30s, was a finalist for the National Book Award in 2010. 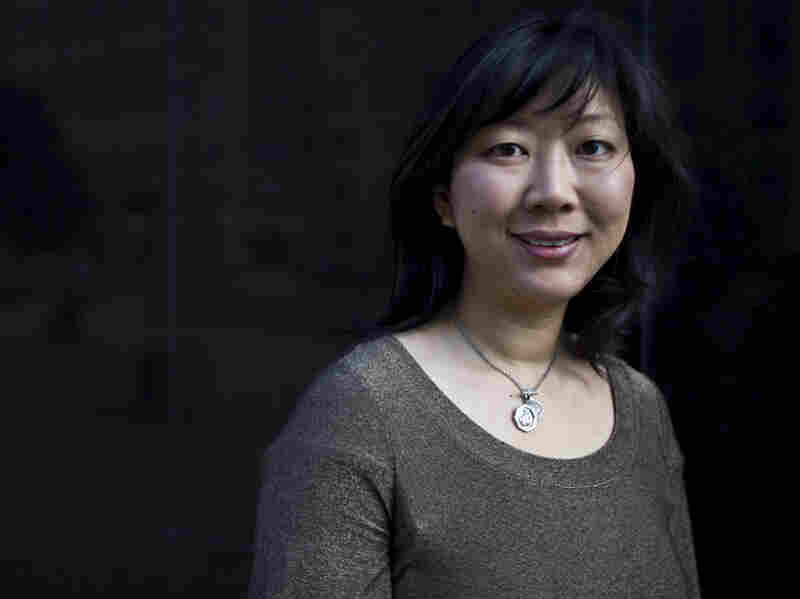 Youn is also a lawyer and a Brennan Center Constitutional Fellow at NYU School of Law, where she focuses on election law and First Amendment issues. Monica Youn sat down with Melissa Block to talk about her double life as a lawyer and poet, and her time spent with NPR's All Things Considered. She told Block that her two worlds don't often collide. "I use one form of work as a vacation from the other form of work," she said. In fact, there was a point in her life when she leaned toward doing poetry exclusively. But not practicing law was tough. "I missed the intellectual rigor," she explained. "Poetry is rigorous, but in a very different way." Now she does both. But even though Youn is accustomed to the fast-paced life of a lawyer, writing a poem quickly presented a new kind of challenge. She called it "one of the hardest things I've ever done," explaining that although she is attuned to news and politics, this assignment forced her to use the other half of her brain — the part usually reserved for isolated contemplation. "It was like trying to draw a picture with the wrong hand," she said. The end result was a villanelle. Youn said she chose the form, which calls for lines that repeat throughout the poem, because it allowed her to make connections between the different stories she was hearing. One of Youn's repeating lines refers to the day as "a net of twenty four knots." She said it was inspired by the story of a blind Chinese activist who had escaped house arrest, unnoticed by the 24 guards stationed outside. But the symbolism didn't end there. "I was also thinking of the constraints of the 24-hour news cycle," said Youn, "and of my own self-pitying constraints of trying to write this poem on this schedule." Usually when writing, "I think of it as supersaturating a solution," said Young. "You just keep adding things into the beaker until something crystallizes." But today there wasn't time for that. "I think this is the fastest I've ever tried to write a poem," she said. In the end, she was happy with how it turned out. "I might sub in some things. I was relying too heavily on the online rhyming dictionary," she laughed. But "I'm happy with the overall theme of surveillance, entrapment and fear." All Things Considered's NewsPoet is produced and edited by Ellen Silva with production assistance from Rose Friedman.